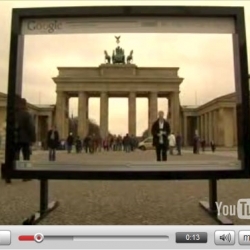 A witty way to advertise Google Video in Germany. It really shows how much online video has had an impact on the internet! 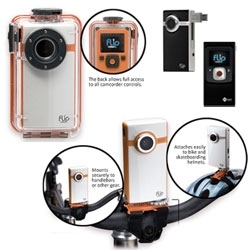 FEATUREDFlip Video Ultra - that tiny idiot-proofed video camera with the flip out USB now has an Underwater Housing and Action Mount! Can you imagine the silly things you can do with such a low cost underwater video camera? 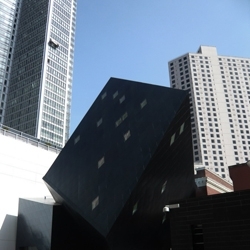 The new Jewish Contemporary Museum in San Francisco by Daniel Libeskind is almost finished. Sweet site for Sega's new game Condemned 2. The game is so violent and dark that you need to come to the site and 'offset the evil' by watching the virals and playing the naff games with ponies, clowns and lollipops. How would Mario’s arch-enemy look if he was real? 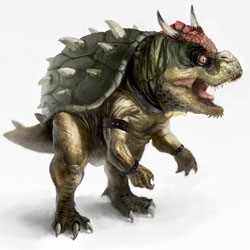 A Bowser Redesign painted completely in Photoshop. 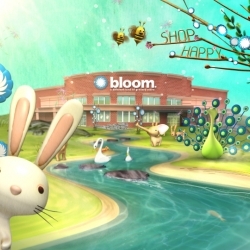 New spots just started airing for Bloom, a grocery store chain in the southeast. At the end of each spot is a wonderful bit of animation done by Stardust (http://www.stardust.tv/). Flore de Crombrugghe is responsible for this design, the transparent bath. Flore has added measurements on a transparent bath, allowing you to see how many bottles of drinkable water you are actually wasting. 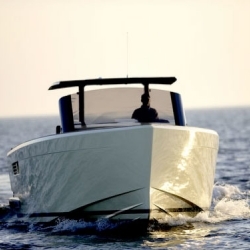 With a top speed around 40 knots, the Fjord 40 Open is as powerful as it is beautiful. 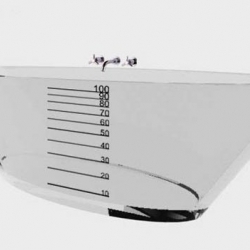 Designed by Patrick Banfield and Jim Wilshire for Norwegian boat manufacturer Fjord. 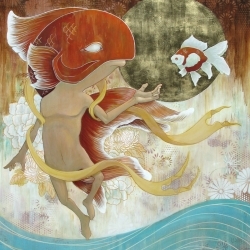 Great illustrations from Swedish Fredrik Tjernström. 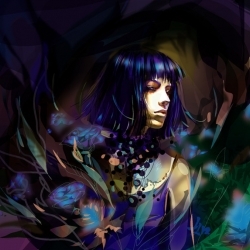 His style sometimes reminds me of Swedish/Swiss illustrator Hans Arnold and Swedish 70's illustrator icon Jane Bark. 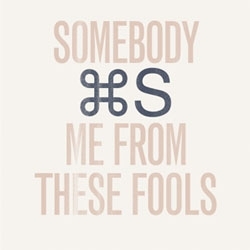 FEATUREDAtmostheory's Command Posters are genius ~ see all three to full appreciate their witty key command inspired pieces. 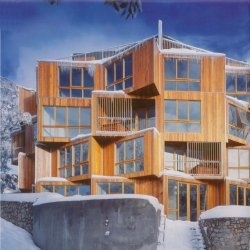 The Huski Apartment Hotel building at the Falls Creek ski resort in Australia. 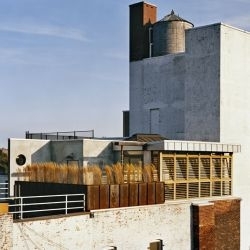 Designed by Elenberg Fraser Architects. 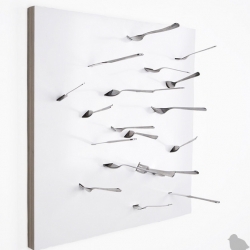 THOUT's UtiliTILE: Forked Up piece is a useful tile for storing your utensils in a fun and space saving way, as if hurled into the wall by a knife thrower. 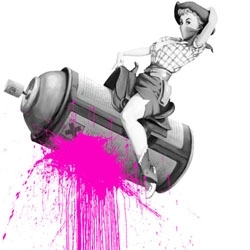 Internationally renowned street artists are traveling to London this weekend to participate in a street art battle in a location which will remain undisclosed until Friday morning. 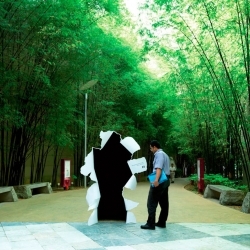 Admission is free and anyone can spray their own art within the designated areas. Amazing nike short/ad from Guy Ritchie! A first person view/account of what a soccer super star goes through! VERY COOL!!!! 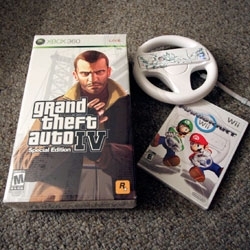 FEATUREDGTA IV or MarioKart? It's a big week for driving games... See the unboxing of the GTA IV Special Edition that just showed up - the Art book and Security Deposit Box are awesome. 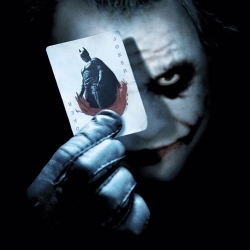 Sweet Posters for The Dark Knight! 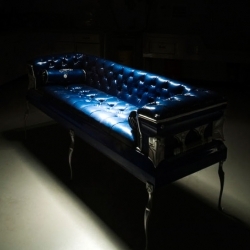 Coffin Couches sells sofas made from actual recycled 18 gauge steel coffins. With options in leather colors and styles, they cost $3,500.00 each. They even have a pony hide coffin couch and a Dodger Blue one! 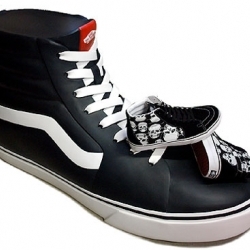 Coarse Toys turned now one of Vans's most classic models, the Sk8 Hi, into a chair. Really nice decorative piece and extra chair when you have people over! 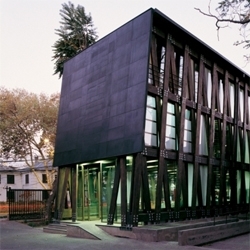 A laminated wood office building in Santiago de Chile by Alberto Mozó. I go back and forth with how I look at the Innermost shades…elegant and sophisticated or mysterious and sea creature-esque? 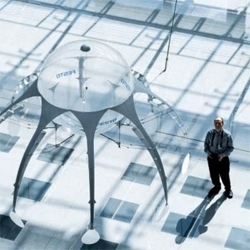 The Festo AirJelly swims through the air, propelled by some magical jelly fish properties. 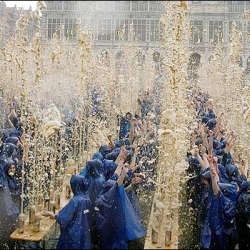 Mesmerizing and..."aquatescent." 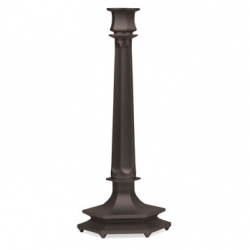 The Castlight by David Weeks looks like a candlestick and it is, but it's also an LED flashlight.Pick it up by it's rubberized grip, twist the handle, and you're holding a powerful LED flashlight. 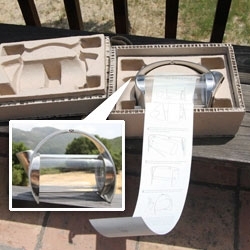 It can be used simultaneously for an ambient effect. 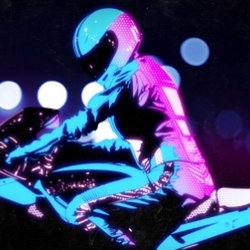 illustrator/designer Gianluca Fallone, 23, has already worked for like Nike, MTV and the Cartoon Network. His pop-psychedelic style and knack for self-referential ad design reads like a unique blend of Kashiwa Sato and Chuck Anderson. 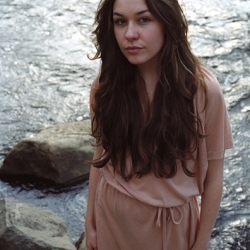 New York City based photographer, John Roman, shoots his peers and friends in a way that makes them ours: setting the bar a little higher than just merely riding the 'point and shoot' fad that's so prevelent among young photographers today. 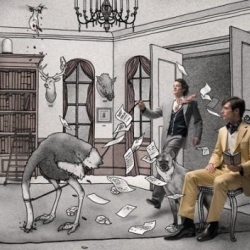 HP Advanced Photo Paper | Path torn > action of environment made by Publicis for photographic paper from HP. 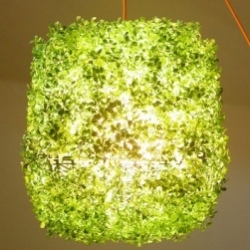 Conceived by three Venetian architects for a charity competition, the Grass-On Lamp by ITlab is made entirely of recycled materials, including the synthetic grass, and completely recyclable. 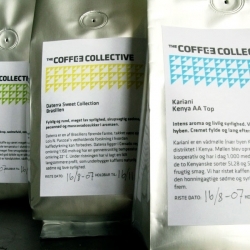 Nice and clean packing from danish The Coffee Collective (TCC). The profile that circles around a simple and nice triangular pattern was developed by Hatch & Bloom in close corporation with TCC. 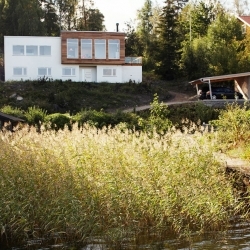 Golf 190 from Swedish Modern Living is a two story house with 6 rooms. The house is partly dress in ceder. Living and entertaining areas are designed to be upstairs and bedrooms and bathrooms down stairs. 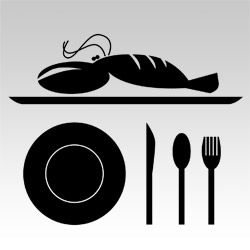 A city specific/chef specific restaurant guide comparing the cost of dining at a celebrity chef's flagship restaurant versus his/her more reasonably priced offering. 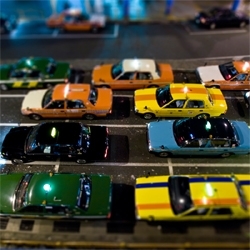 Get some miniature action on your desktop. CITYshrinker's newly released desktop wallpaper! 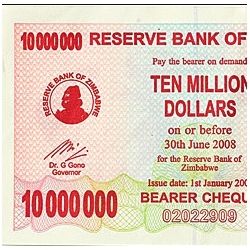 A new image every month! First up, Tokyo Taxi Club! Designed by Pulltab Design as a space for both reading and entertaining, the East Village Penthouse is part of a larger private residence located on the top floor of an early 1900’s Manhattan walkup. The Naked Truth about the Marc Jacobs skin cancer awareness campaign and t-shirts. Which celebs really posed in the buff, who shot the pictures, who actually benefits and where you can buy the shirts. 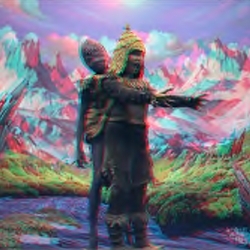 Björk's Wanderlust video is now viewable in all its 3-Dimensional awesomeness. The Wall Cleat is designer Karl Zahn's answer to the question, "What use is an electrical plug when your not plugged in?" 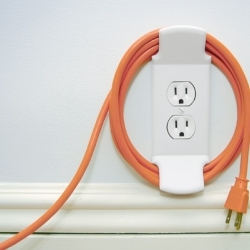 A truly innovative blessing for the neat-freaks and cord-tangle haters out there. 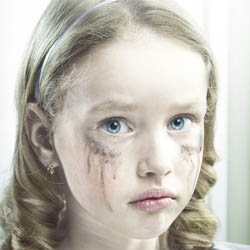 Everybody can help stop child abuse, and give them back their childhood. 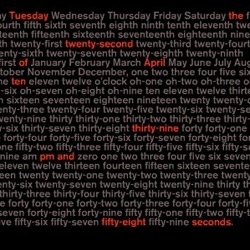 Checkout this strong ad, realized by Saatchi&Saatchi, Bucharest, Romania. 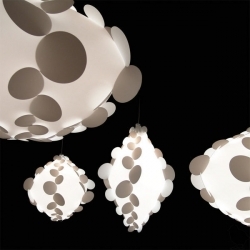 Incredible work by Sophie Cuvelier. 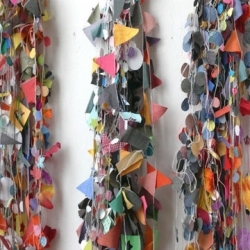 ''The Fabulous Garlands' makes me want to throw a party....or two. Maleonn is a chinese photografer that explores bizarre worlds and new realities. His images remember Saudek and Joel Peter Witkin work. 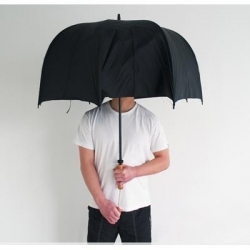 Polite Umbrella is a shrinkable umbrella that enables users to morph its shape in order to reduce occupied space and to increase user maneuverability. 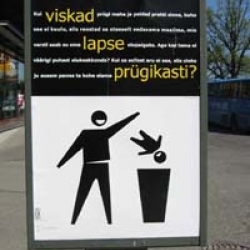 Keep fresh or suffocate? 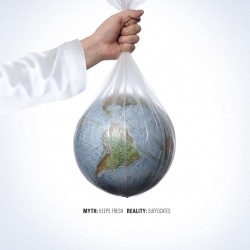 | Campaign of Oman Economic Review magazine, against the use of plastic bags of Polypropylene. The Triângulo Chair was designed by Pieter Maes for the Brazilian design label Brastilo. 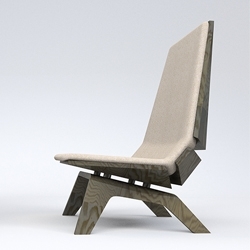 The chair is made from certified wood in close co-operation with local craftsmen.